On the 11th of March Nottingham City Council approved Hopkins Architects' design for the Engineering and Science Learning Centre located at the University Park Campus in Nottingham. 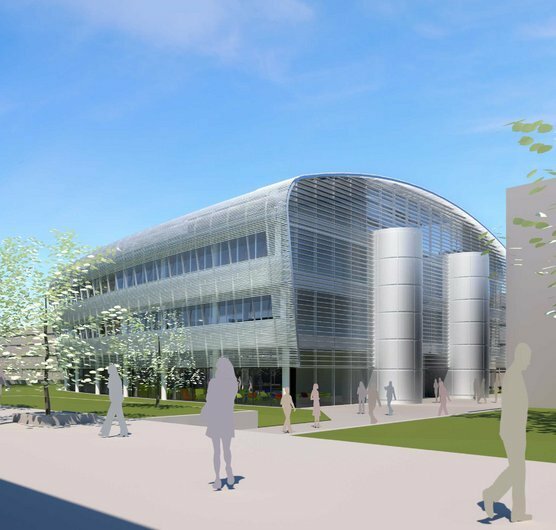 The 3,500 m² scheme compromising conference, seminar and study space around a central atrium is set to become the new heart of the Engineering and Science department. The building, which is designed to achieve a BREEAM 'Excellent' rating, has a reinforced concrete frame, an ETFE atrium roof and anodised aluminium shading on the facades. Construction is anticipated to be completed by June 2011.